and modern amenities with a sleek psychedelic touch! Hotel Re! @ Pearl’s Hill is the first hotel to be converted from a former primary school building, Pearl’s Hill School, also known as the tallest school in Singapore in 1971. The modern-retro themed boutique hotel is now a homage to the swinging 60s and 70s. It’s hard not to notice the multi-coloured prints and swirls splashed across the entire building. All 140 guestrooms have been uniquely designed to include contemporary furnishings and modern amenities with a sleek psychedelic touch. Each floor in this boutique hotel has its own colour theme and all the rooms on the floor resonates with the designated colour and décor. 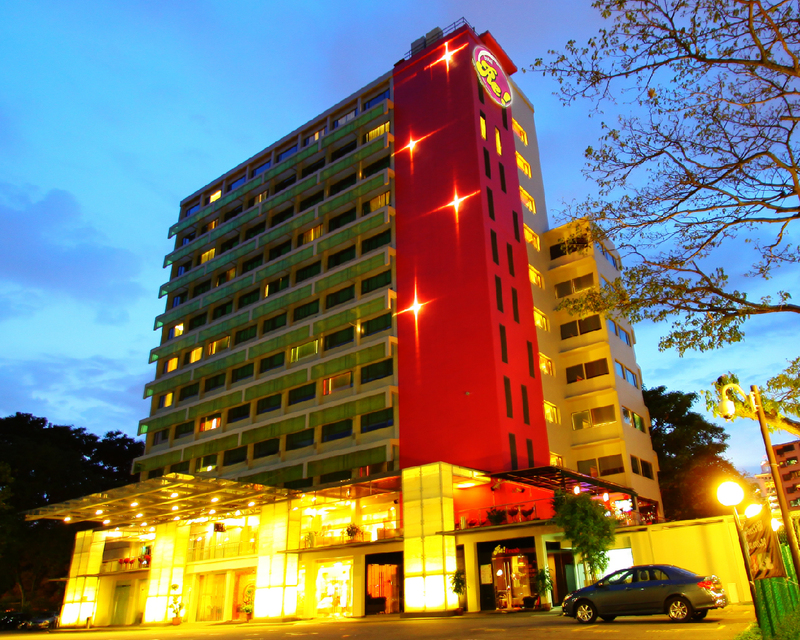 Situated at the base of Pearl’s Hill, near heritage Chinatown, Hotel Re! @ Pearl’s Hill offers easy accessibility to Singapore’s major tourist attractions such as nightlife entertainment destination Clark Quay and the famed Singapore’s shopping belt Orchard Road . Be amazed by our glittery mosaic-tiled bathrooms, experience state-of-the-art audio quality with our Bang & Olufsen Beosound, luxuriate in our Gilchrist & Soames amenities and bidet toilet seat available in our higher room categories! Hotel Re! @ Pearl’s Hill is truly a wonderful surprise waiting to be discovered!